Curated by Steven Alderton, The Led Zeppelin World Tour featured the artists Adam Cullen, Geoff Harvey, Ted Harvey, Alan Jones, Euan Macleod, Lucille Martin, Chris O’Doherty aka Reg Mombassa, Gareth Sansom and Craig Waddell. Led Zeppelin played the Sydney Showground in an extraordinary three-hour concert on an otherwise-sleepy February Sunday afternoon, their only-ever Sydney gig. Officially, there were 28,000 fans attending, though it was more like 38,000 as ‘lots of people climbed the fence ‘. It was a record crowd for the era. 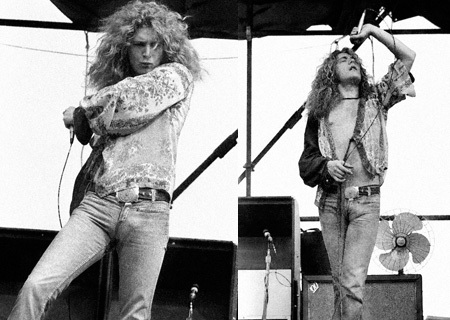 Despite the millions of albums sold and record breaking tours at the peak of their success, Led Zeppelin shunned media attention. Notoriously camera-shy the band were almost inaccessible to the media and few photographs of their live performances exist however photographer Ted Harvey was there to capture the moment.